Every client is different and has different needs. Lately, we’ve been working more and more in the i-gaming field, or in other words, the online gambling industry. This particular client wanted a minimalist design with the ability to share a lot of content. This site is an informational website with technical gambling jargon and lots of terms and conditions. The homepage provides some animation to catch the user’s eye – but the rest of the site is simple. The key for this client was to reduce the dazzle of graphics, animations, flash, etc and instead have plenty of white space, and text content. The website appears more like a research paper than an online casino site – which is what they wanted considering that online casinos can turn off many Internet users. Another benefit of this approach was to aid in their search engine rankings. The client provided the logo and the content. 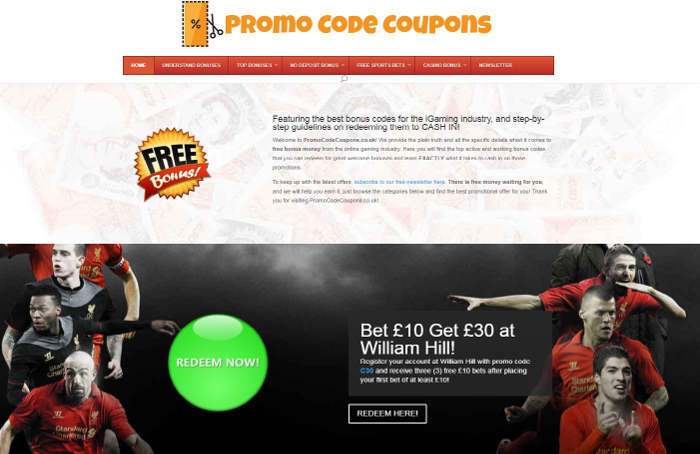 You can take a look at PromoCodeCoupons.co.uk.